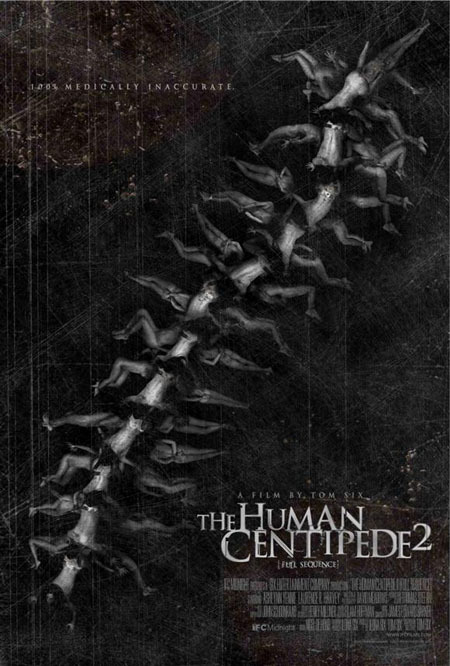 In the world of this film, the first Human Centipede is just a fictional movie, one that Martin (Laurence R. Harvey), the mentally challenged parking attendant in a London garage happens to be obsessed with. 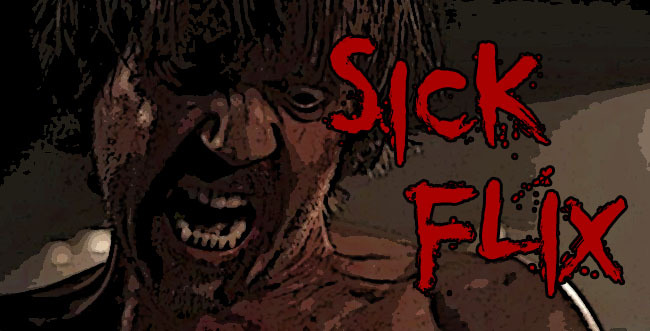 When he isn’t busy jacking off with sandpaper while he watches it or feeding his pet centipede he likes to spend his time brutalizing garage patrons with a crowbar and putting them in the back of his van. Once collected, the unfortunate (that’s an understatement, to say the least) victims are brought to his secluded warehouse so he can live out his greatest fantasy, creating a human centipede of his very own. Beyond the gore, though, there are also some very bold and interesting choices with how the film itself is constructed. The most notable of these is naturally the choice to make the film black and white. There has been a lot of online speculation that Six was forced to present it in this way due to its graphic content but in a 2011 interview with wegotthiscovered.com he clearly states that this was an artistic choice to make the film feel darker and more uncomfortable. The gamble pays off and the film not only takes on an even grimmer, desolate tone but also differentiates itself from the style and feel of the original.